Micromax is going to launch a new model which named is Micromax Q1 Plus. It has an attractive body structure which grabs the peoples. It comes with beautiful black color which people like most. Micromax Q1 Plus has a feature of dual sim and a display of 2.2 inch, TFT 262K colors and display size is 176 x 220 pixels. Micromax Q1 plus has the digital zoom. Its camera resolution is 640 x 480 pixels. 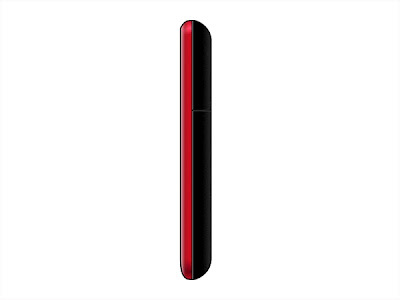 It has 5 way navigation key and also has good video recording capabilities. 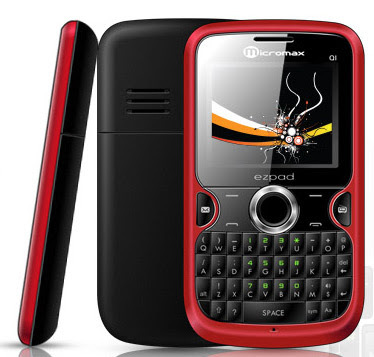 Micromax Q1 plus is multimedia mobile phone because it comes with glossy QWERTY keypad. It also supports various music formats such as MP3, AMR, MIDI, and WAV with background music and it also supports games. Micromax Q1 Plus has a feature of Bluetooth, GPRS and also have a frequency band of GSM 900/1800 MHz| GSM 900/1800 MHz. The size of Micromax Q1 Plus is 111.2 x 61.2 x 13 MM and the weight of this phone is 97 grams. It supports WAP 2.0/xHTML web browser and also have a feature of stereo FM. Micromax Q1 Plus supports SMS storage capacity up to 300 and 1000 phonebook entries including dialled calls, missed calls, and received calls. Micromax Q1 Plus has a good storage capability. Its storage capacity is up to 2GB with microSD card. Micromax Q1 Plus comes with the feature of 1000 MAH battery, the talktime of standard battery is up to 3 hours and standby time is up to 120 hours. The price of Micromax Q1 Plus in India is Rs. 1659/-. You can get a lot of functions in this handset, with the stylish accessories like leather pouches which can save your mobile from, the outer damages like save screen from scratches and save screen, keypad from dust particles. It also provides the USB cable for connecting it into PC. You can get Transceiver, Charger, Battery, Handsfree kit, Service Guide, User guide and Warranty card with Micromax Q1 Plus. The main grabing point of the mobile Micromax Q1 Plus is its price which is affordable. If you want to get best feature in a low price then buy Micromax Q1 Plus. 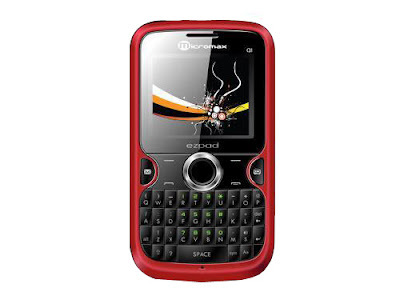 This phone gives you the best opportunity to avail less price with maximum features. It is the most profitable purchases.